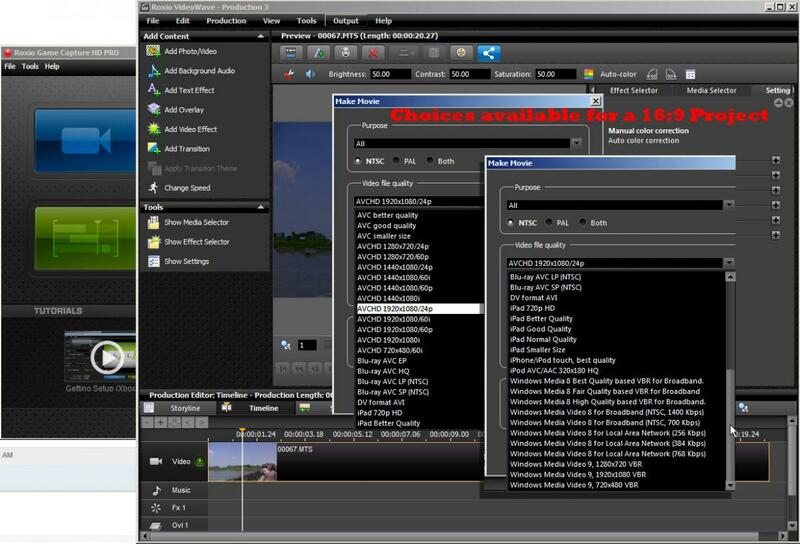 Choose a 16.9 project when you open videowave. 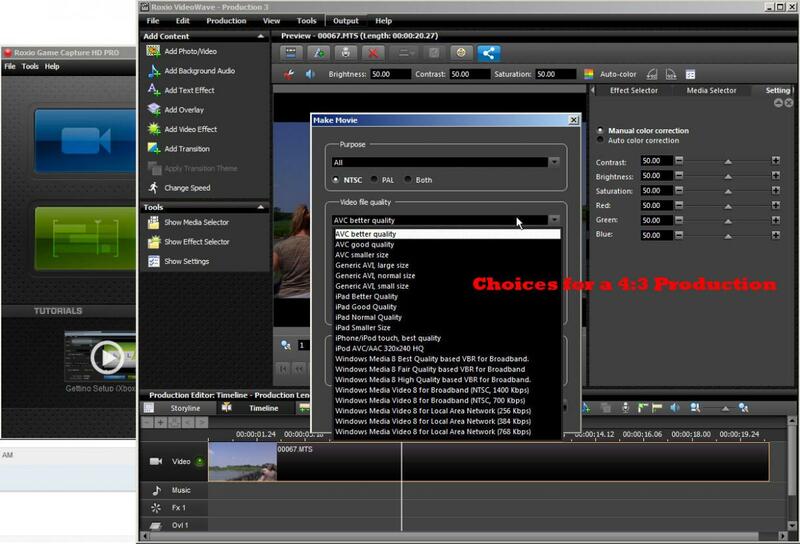 You chose a 4.3 project and any HD output settings don't show. Thanks for the suggestions so far. I don't know if these production options are from Service Pack 1 or what, but for me 16:9 is the only new project option in the first place and the only other difference is imported file type. The example above is an MTS, mine have always been M2TS when capturing footage with the HDMI input of the GameCap Pro HD (MP4s have serious bitrate corruptions and syncing issues) and on my old PC had AVCHD and it worked with those. I realize the list is conditional only because the option wasn't there at all until a certain point later. The file container has nothing to do with anything. The ONLY factor is that they must be HD files! If you load a file that is SD the Project will be SD but the aspect ration(16:9 or 4:3) will remain what it is set at. NEVER capture in MP4. It just doesn't work right in Roxio. You install is corrupt. Both 4:3 as well as 16:9 have always been a part of VideoWave. If you don't see that offered in the Editor as a new project then your program need repaired. Now what is that supposed to mean?